Make the most of your time at port and see some of Egypt’s most iconic landmarks on this private shore excursion from Alexandria. See the Great Pyramids of Giza, the mythical Sphinx, and peruse through thousands of treasures at the Egyptian Museum, including the King Tutankhamen collection. 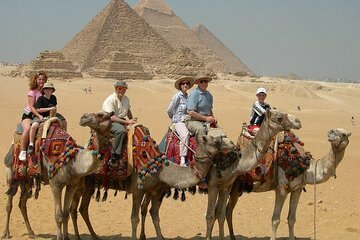 Round-trip port transfers and a traditional Egyptian lunch are included.